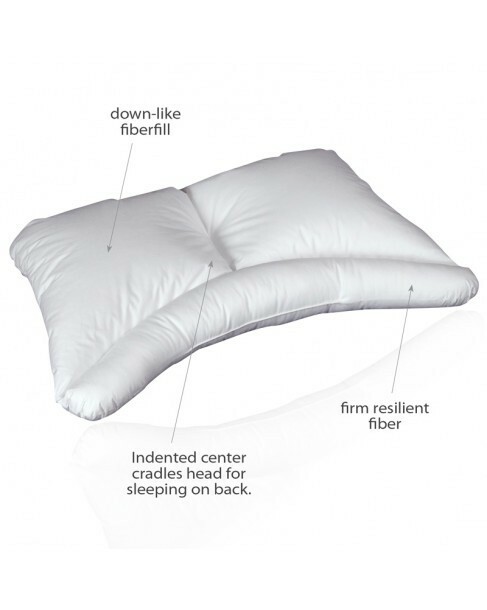 The uniquely curved neck lobe of the Cerv-Align Pillow provides excellent support, placing your neck in the appropriate position for cervical correction. The Cerv-Align also functions well as a conventional pillow by simply rotating the support lobe away from the neck. The larger section gently cradles your head with down-like comfort. 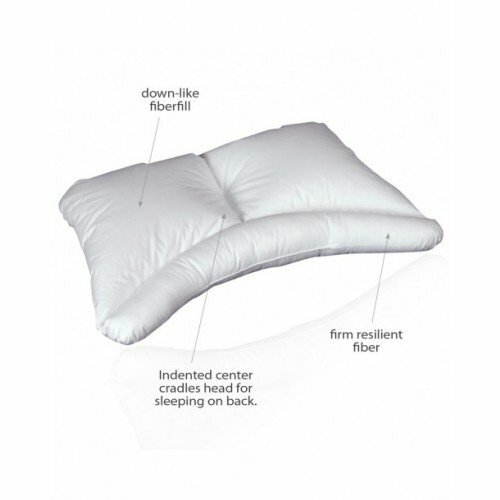 Use this side of the pillow to help adjust to sleeping on the cervical lobe.